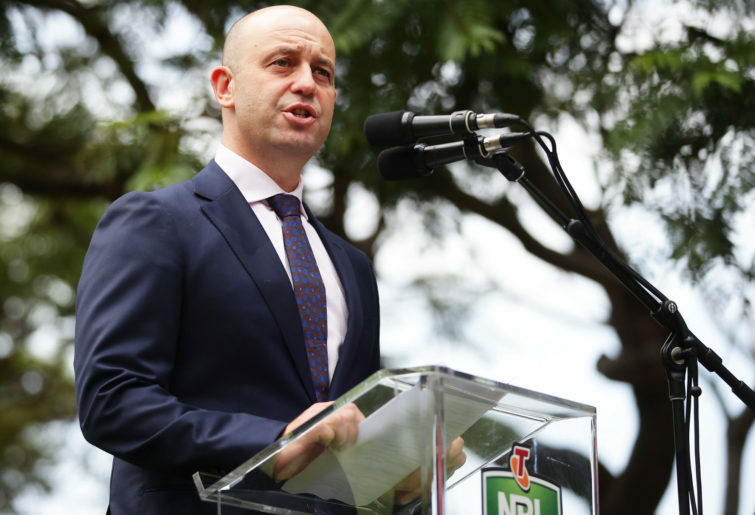 With NRL CEO Todd Greenberg reigniting the expansion discussion, the Australian governing body could do worse than look to the land of maple syrup and poster boy prime ministers for inspiration. 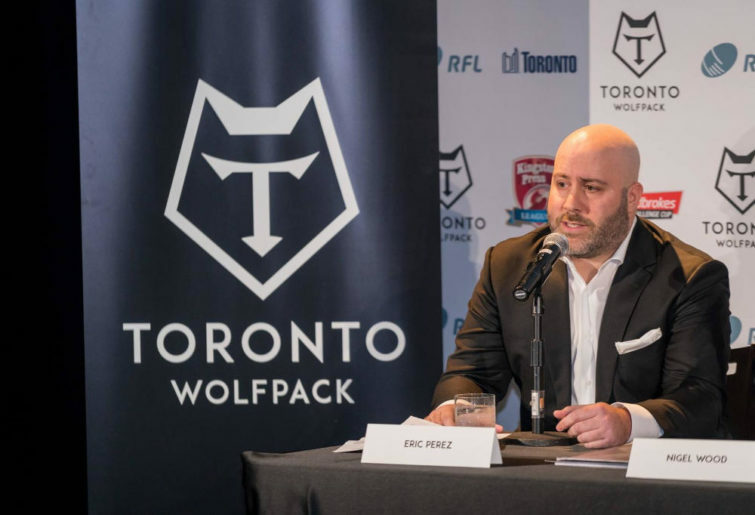 After disappearing from the scene for the last 18 months, Canadian former advertising executive and Toronto Wolfpack founder Eric Perez recently emerged with what appears to be another winner, announcing his application for a team from Ottawa to join the Rugby Football League (RFL) League One competition. The new expansion initiative comes just three years after Perez, with the backing of West Australian mining magnate David Argyle, launched an audacious but successful bid to enter a rugby league team from Canada in the English professional rugby league structure. I am positive many of the rugby league establishment would have had a quiet word in Eric’s ear to tell he him he was ‘dreaming’ if he let it slip a few years ago that he wanted to have two Canadian professional rugby league clubs up and running by 2020. The Toronto Wolfpack have been a success since entering the fray in March 2017, earning promotion to the second-tier Championship after one season and currently knocking on the door of Super League. Home crowds have averaged a tick under 7000 in a competition with an average attendance of close to 2000. Toronto locals have taken to this thing called rugby league. It’s early days for a club whose ambitions Perez once described as wanting to be the “Manchester United of the rugby league world”. Perez has said that he will be more patient with the Ottawa club, who are prepared to bide their time in the League One competition and recruit from Canadian rugby union as compared to the Wolfpack, who have a squad made up almost entirely of experienced English and Australian players. The rugby union recruitment plan may need a rethink to be competitive. League One is the UK’s equivalent of the Ron Massey Cup in NSW, but the advantage would be in the engagement of the community with local products representing the club. North America, particularly the United States is viewed by many as the holy grail for rugby league expansionists. New York, headed up by Huddersfield entrepreneur Ricky Wilby, has also lodged a bid to enter the League One competition, and while details of the business plan haven’t been revealed, it is likely to emulate the Perez model. If rugby league can make it there, it can make it anywhere, right? There have been suggestions that the NRL should put money and resources into developing rugby league in the USA. I’m a rugby league internationalist but I can’t see that being the priority for an organisation dealing with an imbalance of Sydney clubs while trying to establish a truly national competition. The NRL is not flush with funds, and to be honest their gig is to run and develop a primarily Australian-based competition. If we get to the stage where that includes the Northern Hemisphere, then fill your boots. We need more individuals in the game to be like that golden child in the office. The one that management loves and fellow employees envy. The individual that comes up with solutions rather than problems. Perez fits the bill. When he started a rugby league competition in Canada back in the day he hosted a rugby league show so that it would receive television coverage. To solve the travel cost issue for semi-professional clubs coming to Toronto he found an airline sponsor. When the RFL said it didn’t want to issue further licences to prospective clubs Perez bought the Hemel Stags, who recently dropped out of League One for a lower division, to facilitate the Ottawa bid. There are more examples, but I’m sure you get my point. So what about the game Down Under where ambitions to have a team in Perth and second teams in Brisbane and New Zealand have transformed from being off the table to being shouted from the rooftops by Mr Greenberg? Sydney is top-heavy with clubs but relocation is not the answer. I realise relocation has never been done before in rugby league at this level and there is no evidence of failure. Those looking to the AFL for answers can throw up the Sydney Swans and Brisbane Lions as exhibits one and two, but it’s still a no from me. Any Sydney club looking to take the money and run to Perth, Brisbane or Wellington is likely to be in that position because the organisation is being poorly managed in its own backyard. Why inflict that history of business incompetence onto the new identity? It’s a well-worn cliche, but rugby league is tribal and fans need to somehow identify with the club. If my team goes to Perth, a city that I have visited twice in my life, I am not going to feel a connection. The risk of fans being lost to the game with relocation is real. Natural attrition – in other words, not propping clubs up when they get into financial difficulty – or a two-tier NRL competition are options that need serious consideration. Give the ‘greenfield’ rugby league teams a shiny new uniform and logo without the baggage of an existing club and watch the game grow. Rugby league expansion is now a global thing through the Americas, Africa, Europe, the Pacific and Asia. Business savvy backed by solid investment are those rare and sought-after ingredients that will make it happen. So let’s get Eric Perez in as a consultant or at least pick his brain over a Moosehead Lager, because rugby league needs solutions rather than more problems. The first task might be to turn Japan’s Super Rugby franchise, the Sunwolves, who were recently informed they will be axed from the competition after next season, into a rugby league team, as was suggested by sections of the media. Now that’s virtually an impossible challenge, but if someone has the solution, the rugby league world would be your oyster.